Can you remember what you were doing thirty years ago? Were you dreaming of owning your very own BMX bike, or were you wondering why Paul Gascoigne didn't talk with a very high-pitched voice after his encounter with Vinnie Jones? If your answer was the latter, then welcome to our 32nd podcast in which we go back to the 1987-88 season! Take a trip down memory lane with us as we remind you of the players, the teams and the goals that made up an often overlooked episode in football history. Plus, we bring you the stuff that was going on outside the world of football to complete your recollection of all that was happening thirty years ago, thanks to our complimentary YouTube playlist. 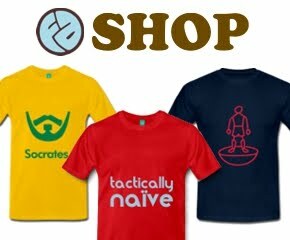 Listen to The Football Attic Podcast 32 by clicking here, or alternatively, subscribe to us on iTunes. 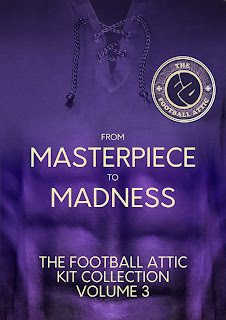 So many new kits, so little time to discuss them... unless you're presenting the Football Attic Kit Podcast, in which case you can easily fill an hour and a half! Yes, we're back once again to wax lyrical about the latest kit releases, but to pep things up, we also talk about cartoons, space exploration and the most depressing breakfast cereal ever. Oh and by the way, VISIT MALAYSIA. Join us in our modest celebrations by downloading episode 20 here, or failing that, catch The Football Attic Kit Podcast on iTunes. Thanks for listening! We're back! What do you mean you didn't know we'd been away? Cheeky scamps! 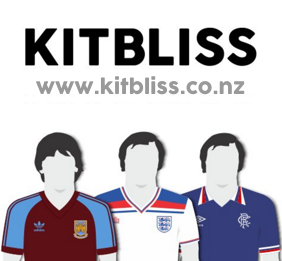 In the few weeks we've been absent, there's been an avalanche of new kit releases, so we devote this entire episode to just that, with our New Kits Special! Also, get the result of the last ever Kit Off! To hear Episode 19, you can subscribe to us on iTunes or you can download the podcast here. Thanks for listening! As sure as night follows day and 'each-way bet' follows Joey Barton, we're back with the second part of our comparison between the football of yesteryear and the football we know in the modern era. The question is, which era's best? 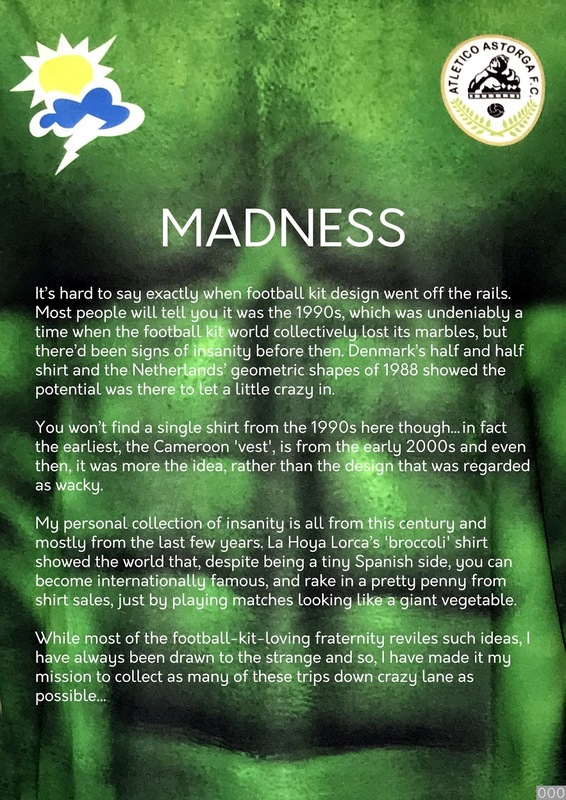 Is it the era of clunky football video games, Puma King football boots and hooliganism, or the era of foreign club ownership, complicated football kit design and digital advertising boards? 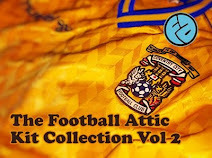 Subscribe to The Football Attic Podcast on iTunes or download our podcast here. 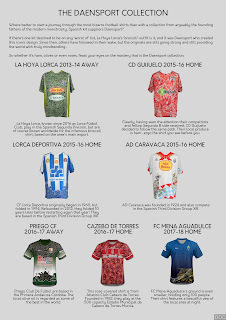 Hey folks, remember when football nostalgia blogs talked about more than just kits? Halcyon days weren't they? Just like everything from years gone by... waaaaaay better than this modern BS! To that end, we decided to finish the debate once and for all* and so spent 2 1/2 hours discussing a wide range of subjects and declaring which was better - old or new. When you've got a brief opening in your schedule in between scoffing huge lumps of chocolate egg, why not listen in to Episode 18 of the Football Attic Kit Pod? We've got a special Easter-themed show for you this time which brilliantly gathers together all the football kit information you need while hardly ever mentioning the Christian holiday and festival that means so much to so many. Thank us later, if you like. There's also Kit News and another Kit Off vote too (details below)... what more could you possibly ask for (apart from yet another chocolate egg)? To hear Episode 18, you can subscribe to us on iTunes or you can download the podcast here. Thanks for listening! KIT OFF - VOTE NOW! For our latest Kit Off vote, we've chosen three Hibernian home shirts, for reasons that are explained in the podcast. As ever, we'd just like you to vote for your favourite using the buttons below, and we'll announce the results of our poll on the next podcast. Thanks in advance for taking part! Which of these Hibernian home shirts do you like best? 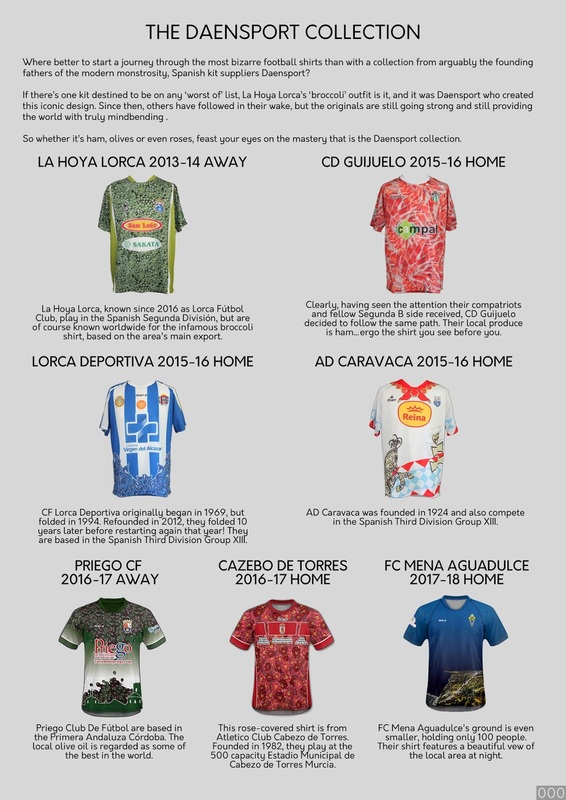 A crib sheet is available featuring pictures of all the kits mentioned in this podcast, plus links to the websites and projects mentioned. Send us an email if you'd like access to our shared Google Doc now, and we'll do the rest! It's Part 2 of the reeeeeeeally long chat all about Wales shirts aided and abetted by our Pot Noodle correspondent, the one and only Simon 'Shakey' Shakeshaft! In Part 1, we (finally) managed to get through Kit News and also covered our favourite Wales home shirts from 1980 - Present Day. Now it's time for us all to cover the lovely away shirts, so sit back, get comfortable, maybe grab a pillow and a duvet, and enjoy the beautiful yokel-like tones of Mr Shakey. The pod is available to download here. 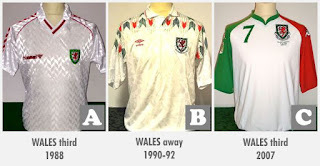 We asked you to pick your favourite Wales away shirt from those shown right, as selected by Simon 'Shakey' Shakeshaft.. It's time for yet another special guest on The Football Attic Kit Podcast (you lucky people) - it's the one and only Simon 'Shakey' Shakeshaft! As anyone will tell you (especially Shakey himself), Shakey knows all there is to know about the shirts and kits worn by the Wales national team down the years, so that's the subject we're taking for this podcast. And good news for you (we hope) - it's another two-parter! The first part is available to download here and contains an extended Kit News section and the opening part of our debate on the greatest Wales shirts since 1980. The second part of the podcast will be available to download on this website soon and will contain the remaining part of our Wales shirt discussion, plus the Kit Off vote which you can take part in below. The special guests keep on coming as we bring you our take on the kits of MLS 2017 - with Austin Long! To hear Episode 16, you can subscribe to us on iTunes or you can download the podcast here. Thanks for listening! 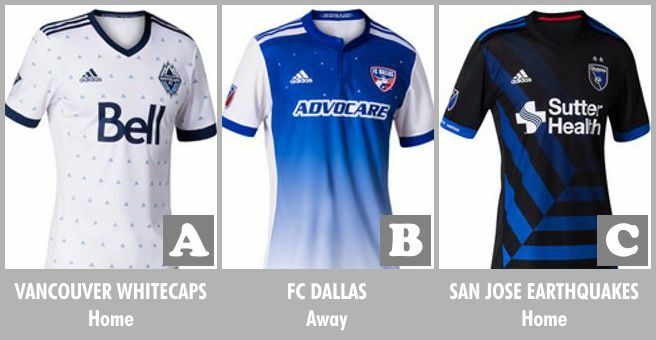 We asked you to pick your favourite MLS 'identity' shirt from those shown below.